Cablevision has released a new app to complement its existing Optimum for iPad offering. 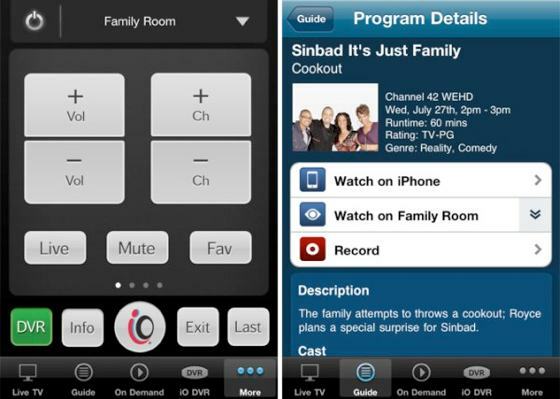 The app expands live TV viewing to iPhones and iPod touches, and allows its cable customers to use their iPhone as a television remote as well. Cablevision customers can now enjoy more than 300 channels of live TV and thousands of titles of video on demand (VOD) on all three devices, in addition to DVR management, interactive guide information and search. And, for the first time, customers can use the app on all three devices as a virtual remote control for conventional TVs in the home, maximizing its value as a discovery and navigation tool. The app does require authentication to use, but it doesn't work across the Internet. It allows users to watch live TV and video-on-demand only when connected to an Optimum Internet connection. Cablevision is dealing with a lawsuit from Viacom over what the latter company calls "unauthorized streaming of its programming" on mobile devices.